IAEA to renew its efforts to gain access to Iranian military installations in which nuclear experiments may have taken place. 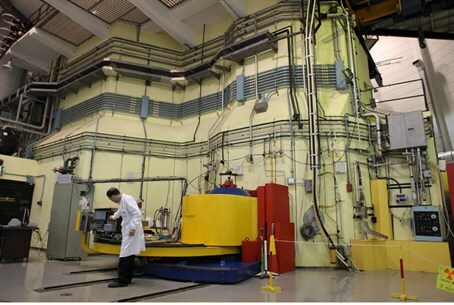 The International Atomic Energy Agency (IAEA) announced Tuesday that it will renew its efforts to acquire access to the Iranian military installations in which experiments involving nuclear warheads are suspected to have taken place. Of particular concern is the Parchin Military complex, a suspected nuclear-trigger test site, near which Iran razed two buildings several months ago. According to an IAEA announcement, the negotiations will begin on Friday. The announcement said the meeting will discuss finding a solution to the Iranian nuclear program. The last round between the UN’s nuclear watchdog and Iran took place in June. The two sides failed to agree on a deal allowing greater access to Tehran's contested nuclear program, including Parchin. Meanwhile, a senior diplomat who was asked on Tuesday about the possibility that the Iranians have cleaned up the evidence of nuclear activity in Parchin, said that Iran has entered the “final stages” of the clean-up of the evidence. The diplomat, who spoke on condition of anonymity, explained that the information he provided is based on satellite photographs of the facility, but would not elaborate. A June report by the Institute for Science and International Security (ISIS) indicated that Iran is continuing its suspected clean-up activity at the Parchin Military complex. ISIS presented satellite imagery from June 7, 2012, which shows continued activity at the site. The image shows heavy machinery tracks and earth displacement throughout the site. ISIS noted that clearly defined roads that previously led to several of the buildings are no longer discernible due to machinery traffic or earth removal. The security barrier that previously ran along the perimeter of the site has also been removed, the report said, and areas close to the suspect building that contained access roads and vegetation now appear to have been bulldozed or disturbed by machinery.